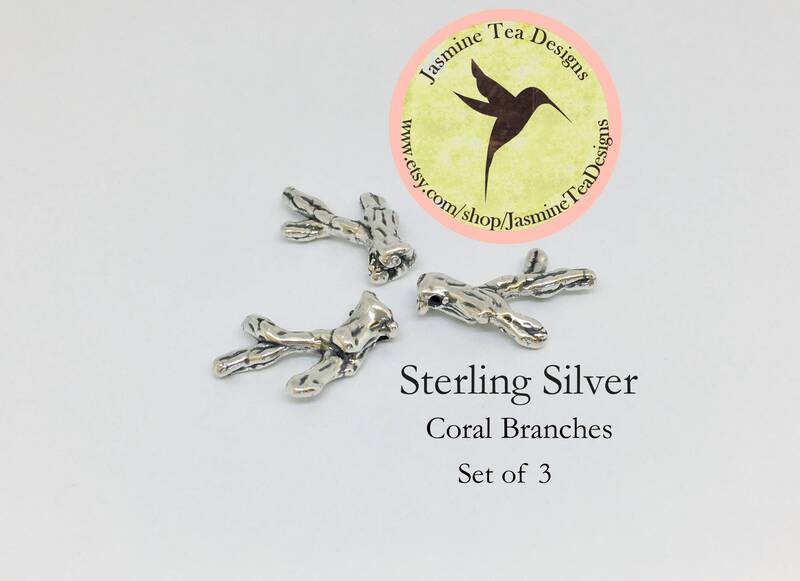 A set of three sterling silver coral branches for you to embellish your beautiful kumihimo braids. These coral branches are used as a focal feature in the fully beaded 'Silvery Sea' kumihimo necklace designed by Diana Miglionico-Shiraishi and featured in Bead Trends magazine in April 2012 where Diana was feature as the Designer Highlight of that months issue. A timeless design and wonderful statement necklace. Set of three sterling silver coral branches.